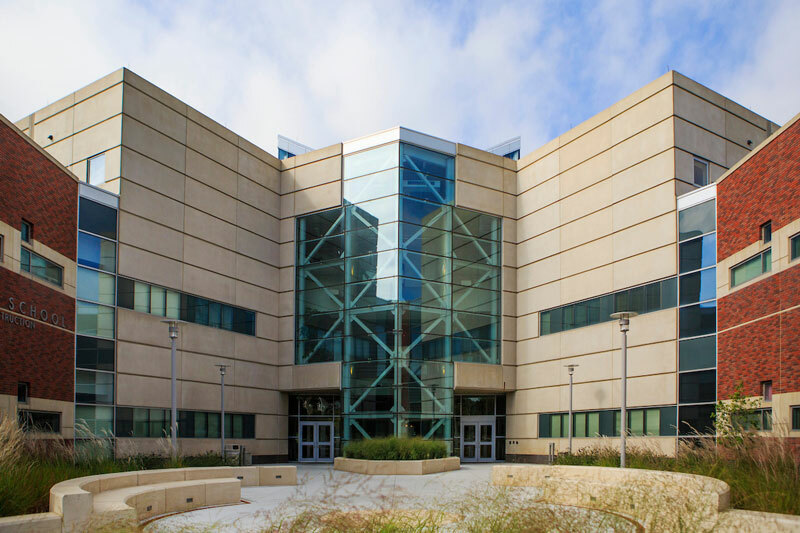 To provide comprehensive up-to-date education of the highest quality in the various areas of information science and technology to individuals at the Metropolitan Omaha, state, national and international level. To engage in basic and applied research activities to be carried out by students and faculty of the college with collaboration of other University of Nebraska units as well as profit and non-profit organizations. To equip college graduates with the knowledge and expertise to contribute significantly to the work force and to continue to grow professionally. To partner with other university units in the development and utilization of information technology in teaching and service activities. To partner with local, state, national and international entities in the resolutions of information technology problems and issues. Be student-centered and recognize students to be the focus of the education process. Be recognized as one of the top information technology institutes for excellent research and scholarly activities. Offer various excellent educational programs and produce the highest quality students. Play an active leadership role in information technology related service efforts in the Metropolitan Omaha, the state, and the professional communities. Lead the efforts in multidisciplinary research and education projects in the areas of information science and technology. Recruit, develop and retain the best and brightest students, staff, and faculty in the information technology field. Believe knowledge enriches people throughout their lives and prepares them for life-long learning. Commit to enhance teaching, research, service and outreach activities. Value the welfare, distinctive talents and successes of the faculty, staff and students. Commit to expanding the professional development of the faculty and staff and preparing them for the rapid changes in the field of information technology. Promote and practice professional conduct and ethical behavior at all times. Recognize that the diversity and the unique blend of the college is a major point of strength. Goal # 1: Keep students at the center of all college efforts. Objective 1: Actively recruit undergraduate and graduate students who have the potential to make a significant impact on the information systems discipline in either the academic or the business sectors. Provide opportunities for potential students to learn more about the College of IS&T via such vehicles as Open Houses, College Fairs and Community Outreach, including the Adopt-A-School, Academy of Excellence and Mentoring programs. Objective 2: Retain the college students by providing graduate and undergraduate programs that are challenging to the student and keeping them current with technological change. Provide the opportunity for students to continue to grow professionally with credit and non-credit course offerings that are available both on campus and via distance learning. Also, offer academic incentives such as entrepreneurial grants, scholarships and internship opportunities to assist students in completion of their programs. Retain students not only until they graduate from the College, but keep them in the Omaha-area after graduation as well. Objective 3: Facilitate internships and employment opportunities for the students by working closely with the Kiewit Institute, AIM, local businesses, national firms and job placement services to ensure that students have contacts with businesses and to ensure that businesses are aware of potential hiring opportunities. Equip our students and graduates with the knowledge and expertise to contribute significantly to the work force of all appropriate industries. Objective 4: Provide a diversified academic environment that reflects the Omaha community at large. This includes achieving student populations that accurately reflect the community in regards to race and gender. Celebrate diversity by actively recruiting women and minorities into the programs and by adopting school programs in racially diverse junior high and high schools. Goal # 2: Strive to achieve the highest academic excellence. Sub-goal A: Achieve a strong national and international reputation in information technology education. Objective 1: Maintain, enhance and improve the existing graduate/undergraduate programs offered by the college with the goal of being recognized as one of the top educational institutes in information science and technology. Periodically, review the curriculum of each program with the goal of yielding graduates with a strong theoretical foundation as well as an aptitude for various up-to-date technical, quantitative and communications skills. Objective 2: Develop new multidisciplinary curricula within the college and establish dynamic programs in areas related to information science and technology at the undergraduate and the graduate levels to accommodate the rapid changes in these fields of study. Objective 3: Develop joint programs with other UNO colleges as well as with colleges of the University of Nebraska system. In particular, establish a joint Ph.D. curriculum in Information Technology. Objective 4: Provide the opportunity for the students to continue to grow professionally with credit and non-credit course offerings that are available both on campus and via distance learning. Objective 5: Help students acquire advanced knowledge in information science and technology while developing connections with their communities via service learning projects or community-related workshops and seminars. Sub-goal B: Develop an effective program to recruit and retain college personnel. Objective 1: Recruit the best faculty and staff that are available in the information technology field. In particular, increase efforts to attract junior faculty with high potential and established senior faculty. Objective 2: Retain the best faculty by providing challenging teaching opportunities, exciting research endeavors and career building service activities. This would also include adopting consistent workload policies and providing competitive salaries for the faculty and staff as compared to their counterparts in peer institutes. Objective 3: Promote faculty development in both pedagogy and field of expertise and strengthen faculty ability to compete for external grants through providing research release time and summer support. Also, encourage and reward all aspects of beyond-normal scholarly activities, as well as promote scholarly workshops, seminars and conferences at UNO. Objective 4: Increase efforts to attract faculty and staff minorities to the college. Objective 5: Develop, observe and enhance college faculty governess policies and promote faculty involvement in faculty governess body and activities. Sub-goal C: Recognize pedagogy as an important component of college education. Objective 1: Encourage and help faculty to adopt innovative instructional approaches to face today’s challenges of dealing with the changes in college students and the availability of various new teaching tools. Objective 2: Assume an active role and encourage research efforts in the area of incorporating advanced technology into the classrooms. Objective 3: Offer various courses and degree programs through distance learning, as well as through on campus classes and utilize various modes of delivery for distance learning. Sub-goal D: Encourage high quality research and strive to achieve a strong national and international reputation in various research areas related to information science and technology. Objective 1: Maintain and foster the current research activities in the basic and applied information science and technology areas. Objective 2: Identify and promote new interdisciplinary research directions in specific applied research areas of information science and technology that fit the resources and the nature of the college.Objective 3: Encourage the faculty to publish in the most prestigious journals, participate in first-rate conferences and seek external research funding. Objective1: Ensure that the physical facilities of the College contribute to student recruitment and retention, provide a stimulating environment, support research and compare favorably with the facilities at other like colleges. Objective2: Adopt a periodic program for maintenance and equipment upgrade in order to provide student, faculty and staff proper up-to date facilities needed to support the instruction and research needs. Sub-goal F: Support an effective college Administration. Objective1: Support an administration that provides a strong leadership to the college to achieve its strategic goals and provides the right means to collaborate with other educational and non-educational entities in various projects related to the IS&T areas. Objective2: Support an administration that encourages faculty and staff participation in the decision making process through various college committees and other similar channels. Goal # 3: Actively lead and collaborate with academic, business and community entities in various projects related to IS&T. Sub-goal A: Encourage collaboration with academic units. Objective 1: Develop and participate in strong academic partnerships with various academic units that promote the strategic plans of the college and the university. Such partnerships may include interdisciplinary research projects as well as the development of new educational programs at the undergraduate and/or the graduate level in the areas related to information science and technology. 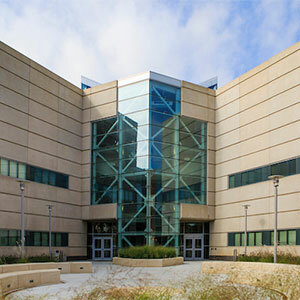 Objective 2: Engage in several research and educational projects with the college of engineering and technology and take advantage of the unique setting of the new facility and the existence of the Peter Kiewit Institute. Sub-goal B: Encourage collaboration with businesses and industry. Objective 1: Encourage and support applied research projects that involve collaboration with business partners to advance the use of information technology and solve research related practical problems. Objective 2: Encourage the exchange of expertise with business partners by maintaining and fostering the expert in-residence program and develop increased opportunities for faculty-industry residence programs. Sub-goal C: Encourage collaboration with community units. Objective 1: Assume a leadership role in helping local communities in developing the much-needed skills in areas related to information technology through various collaborative service projects. Objective 2: Maintain and improve articulation agreements with local institutions of higher learning and develop teaching partnerships with community colleges. ** Approved by IS&T Faculty in March 2013.